If you are a business owner or director, or a sales and marketing manager, we can help you solve your challenges with our sales industry experience. Are you selling high value B2B technology, professional or business services? 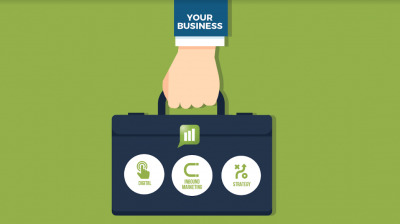 Looking to acquire or organically grow your business? Are you ready to scale-up or accelerate your sales growth with plans for capital raising or to exit via sale? 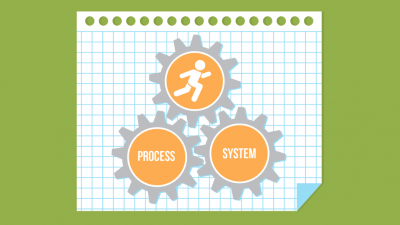 Aware you need systems and processes to support your growth strategies but haven’t had time to develop and/or implement them? Have you invested and committed funding to differentiate your business through relevant strategy development? Here are some easy ways you can get started with us to suit your needs below! I’ve just completed the Digital Readiness Assessment – a comprehensive questionnaire that took a few hours to complete. Great questions, really made me think about what we have existing and what we should, but don’t. Biggest conclusion I got from the whole exercise is to prepare a proper business proposal to the Directors about online and website strategy across the global business than an ad hoc approach. I have worked together with the Alchemise Consulting team since April 2015, and continue to do so. Alchemise came along at a time when I was unsuccessfully trying to juggle the day-to-day business as an Electrical Contractor, while wanting to promote two key business ideas. I felt like I was stuck in a rut and was unsure how I could get out of it. In what seemed like no time at all, we had business and sales strategies that when implemented provided me with numerous sales leads and a professional proposal for a multi-national company. My business has gone from strength to strength with clear direction and ongoing support. 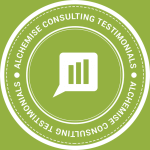 We hired Alchemise Consulting for a one-month demand generation campaign. From the planning and preparation stage, it was obvious that your services were focused on quality not quantity. Your initial advice in relation to the target market, call list, and the script allowed us to narrow down the range of prospects and generate initial interest in our services from the exact type of business clients that we were looking for. It was very insightful to participate in a comprehensive business growth assessment to help pinpoint areas of improvement in our services business. It really helped us to identify the specific sales and marketing activities, and areas we needed to prioritise and improve on to grow our business. 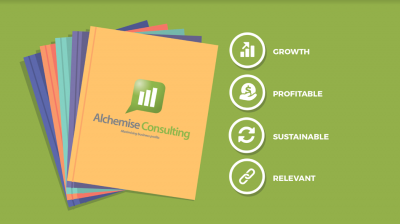 With the help of Alchemise Consulting and a fresh set of eyes on our business, we have been able to develop a clearer focus and an effective strategic plan to implement. It’s been well worth the investment and time. Do you have the skills required in today’s sales and marketing environment including modern sales methodologies and processes such as digital sales, targeted account selling and account based marketing? If you lead a sales or marketing team, are you confident in the skills of your team to successfully deliver the requirements of today’s sales and marketing approaches? 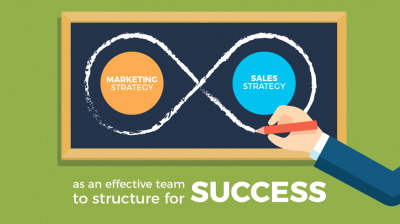 Establish strategic objectives and goals (alignment of sales & marketing). Facilitate a strategy workshop for leadership planning. Develop, test and implement sales & marketing on-boarding process. Individual and team coaching, optimisation sessions for sales engagement, sales effectiveness and customer experience. Deliver modern sales methodologies and processes such as digital sales, targeted account selling, and account based marketing for your team. Deliver with virtual conferencing or face-to-face: one to one or one to many formats available. Starting from $1,500 ex GST (AUD). Business Growth Assessment – includes report and recommendations. Business Growth Strategy Plan & Detailed Review with Roadmap. Sales & Marketing Coaching – inclusion of 2 scheduled days per month. Alchemise Growth Resource Centre and Tools – individual access. Exclusive client invitations to upcoming events and workshops from industry leaders and peers. Exclusive report for marketing insights and marketing survey. Ad hoc support – access to Consulting Director via Skype or Zoom call for 2 hours per week. Starting from $3,500 ex GST (AUD) per month. A starting choice of Business Growth Assessment or Digital Readiness Assessment or Go-To-Market Assessment (depending on your needs). Custom Focus Workshops – facilitation of one initial workshop for focus challenge area – to executive, management team or one to many format. Building a program of works and roadmap for action, including sales and marketing KPIs setting and access for follow-up. Starting from $6,500 ex GST (AUD) per month. Digital Readiness Assessment – includes report and recommendations. Sales Effectiveness and Performance Evaluation around current sales teams, process and systems. Independent assessment of your requirements for tools and systems including CRM, marketing automation and other processes. Technical experience to implement/trial setup, deployment and support of tools and systems. Starting from $8,500 ex GST (AUD) per month. To book a session or to arrange an initial consultation, please enquire via Live Chat, call us on (03) 9225 5022 or register below.